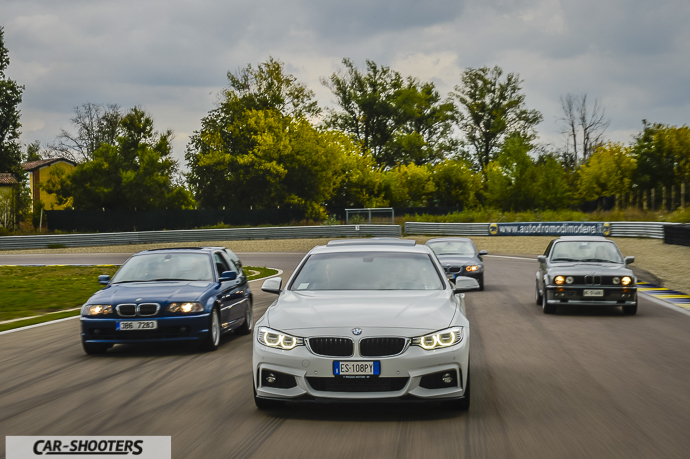 Is the 09.27.15 and the Modena Circuit is preparing to host the sixth edition of the largest Italian BMW owners meeting, the Italian Bimmerfest. This event at the beginning in 2010 was a simple meeting of friends but now is able to host more than 300 participants! 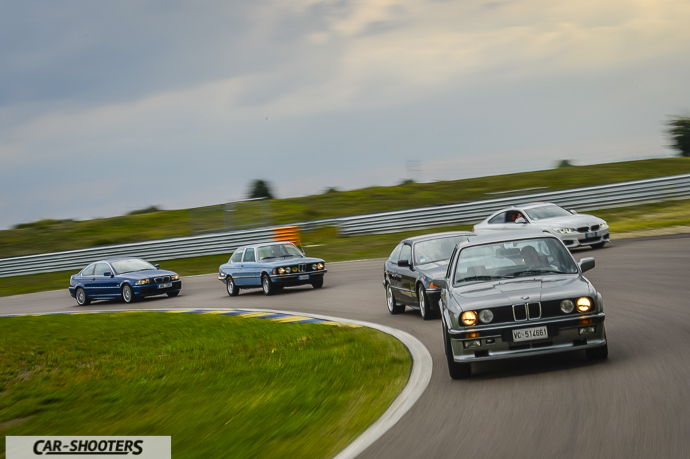 The event is open to all the owners of a car from the Bavarian house, clubs, forums or even amateurs. 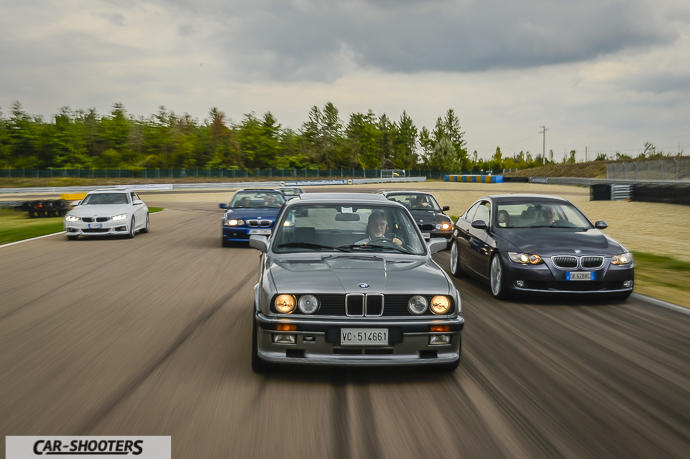 You all know that I own a BMW 520 E12 from the 1980, so I and Edoardo we decide to participate at the meeting as BMW owners but also as media partners of the event. A fair amount of kilometers separate us from the Modena Circuit. We start our journey early in the morning, sure that Marco Danieli, who also owns a 520 E12 with a plate almost like mine, will kindly keep me a parking space. 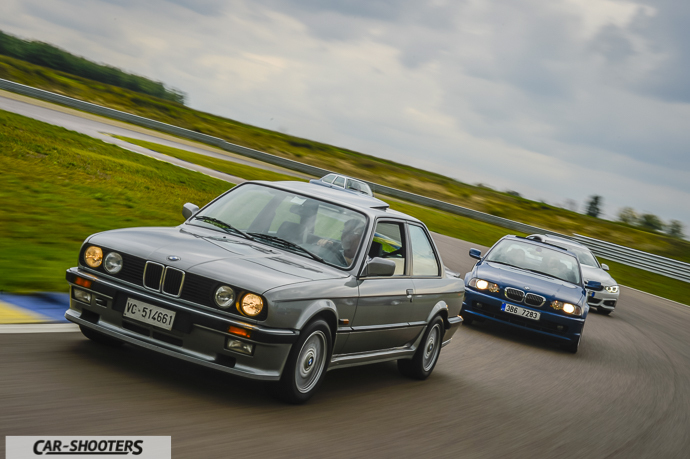 Despite the distance, my historic car leads us to the destination without any problems. 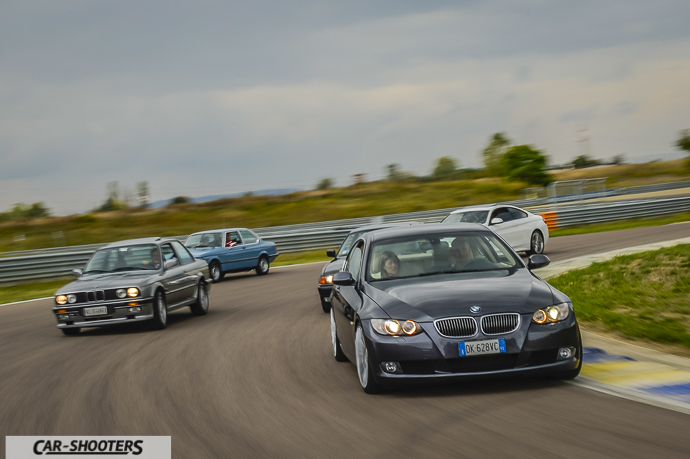 Paid the 5 euros needed to enter the event, I reached my place next to the other classic BMW at the BMW Youngtimer Club Italia dedicated zone. 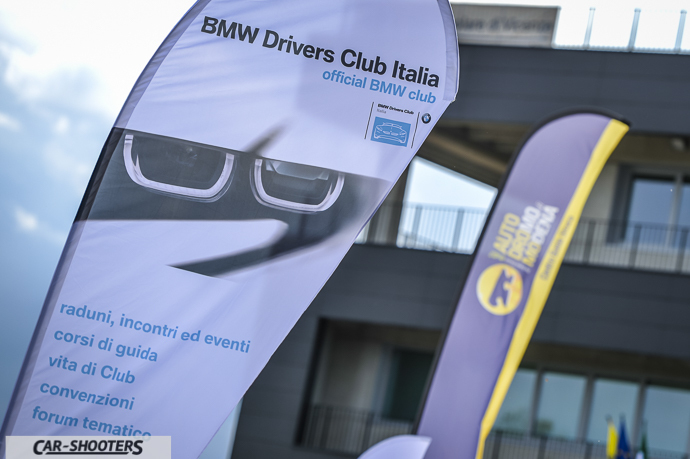 There are many historical cars present from the club members, in fact this is the biggest BMW historical club in Italy and is officially recognized by BMW. There are several initiatives that are proposed to the club’s members, among them is imporant to mention the wonderful Dolomites tour, which we are very sorry to being not able to participate this year. 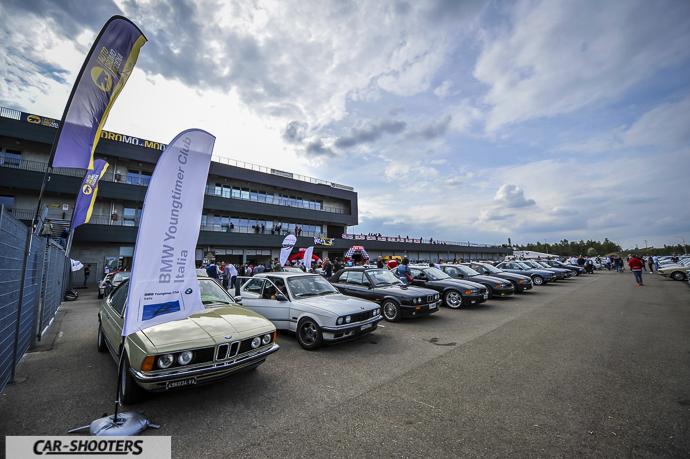 The event offers not only the car exhibition in the paddock but there are also various activities. 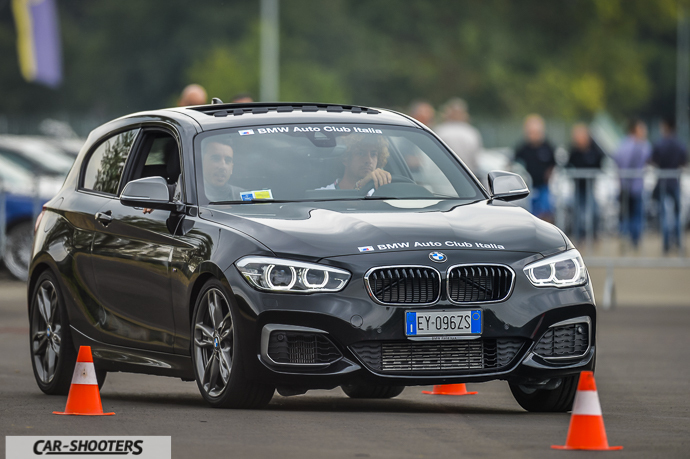 We decide to try the regularity race with the BMW 135, provided by the BMW Italia on a little track created between some pins in the paddock. It was really amazing! 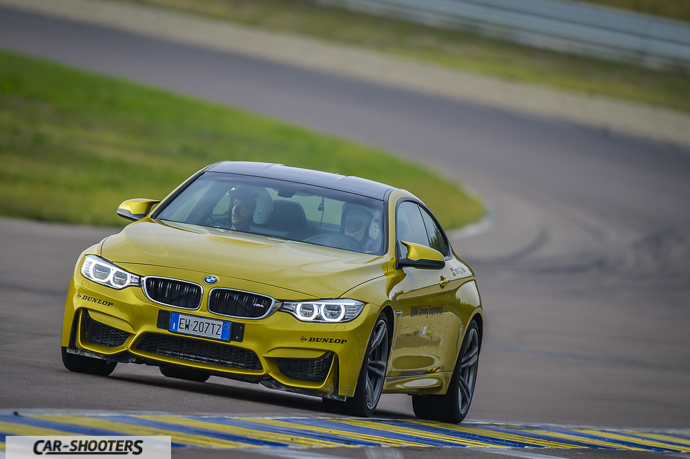 We had the opportunity to test drive the flagship of the 1 Series, truly agile and really fun to drive thanks to the rear-wheel drive, unique feature in its category. The 135 has a great balance, despite the tortuous path it moves with remarkable agility helped by the excellent automatic trasmission. Beautiful also the idea to how make to try this sport automobile at all the guests. 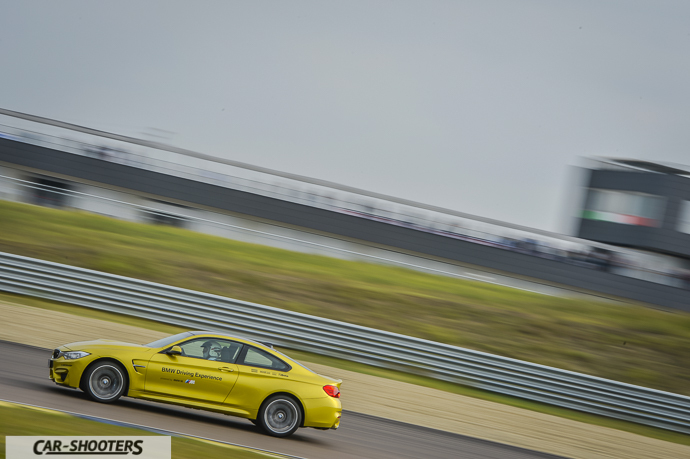 Basically it was a regularity race, they are a great way to get closer to the motorsport in a non-challenging way. There was also a lot of track activities. 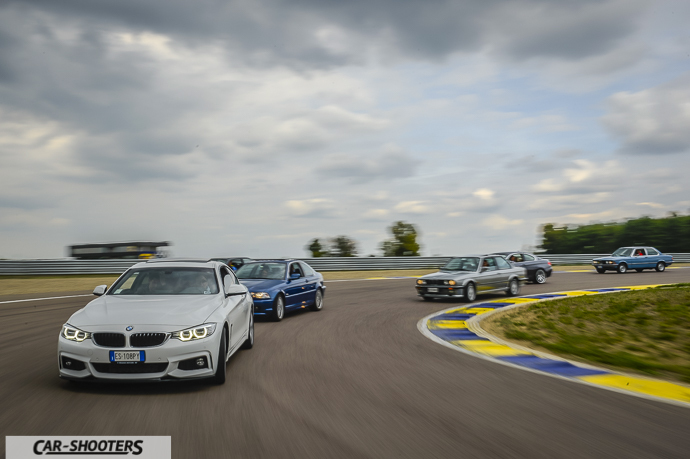 One of those was the opportunity to book for having fun with your personal BMW on track. I preferred to not stress too much the mechanics of my 520 so we get on track in a definitely more exciting way. 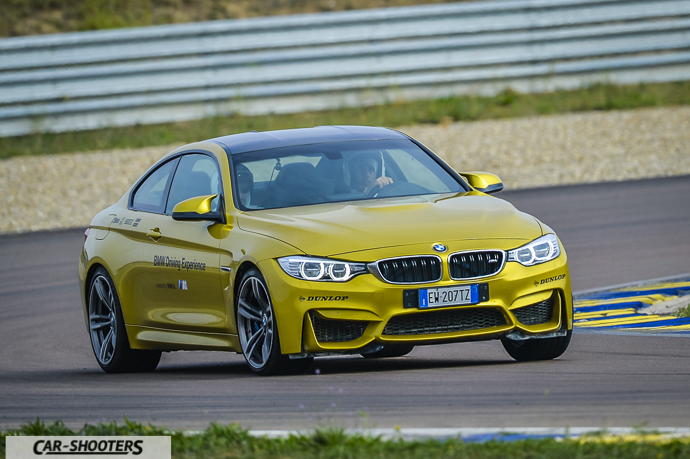 BMW Driving Experience partecipated at the event with their fast BMW M4 so we decided to give the chance to our friend Simone, skilled on the road but almost never been in contact with the track, to have a try. 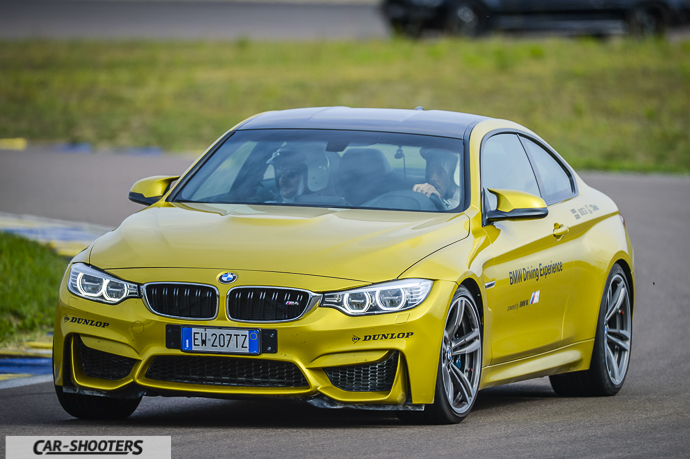 At the end of his three laps he rejoin us with a big smile on his face, sure to be gone at full speed supported by the 430HP of the M4, but also aware of the big difference between the every day driving and a track action. Being consistent and fast on track, with all the controls turned off, driving into the apex and then exit without spinning are simple things to say but not to done. 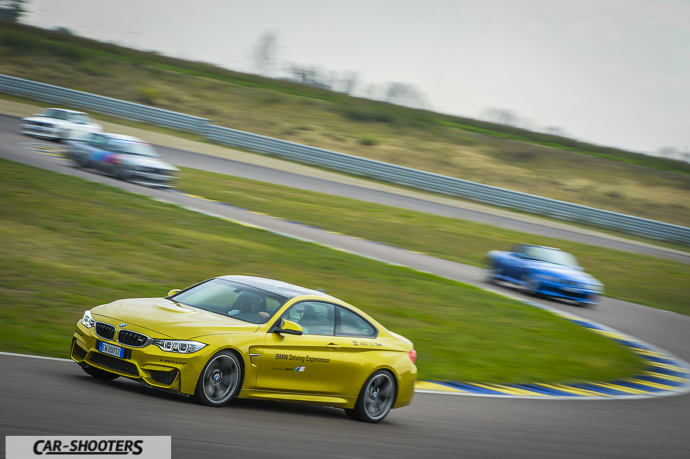 Getting close to the correct driving technique is very hard on the track without an instructor. 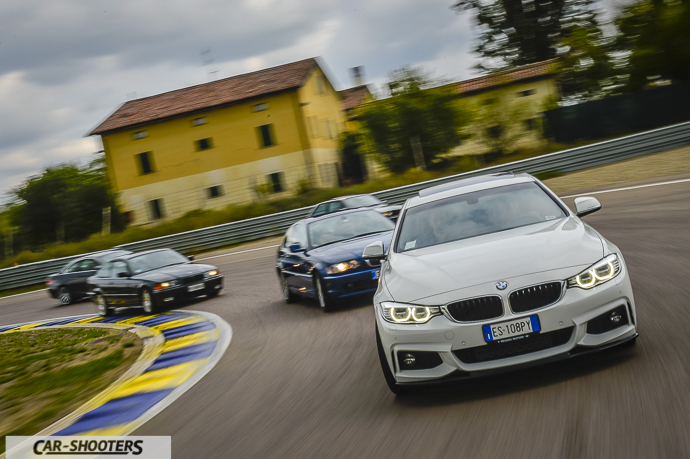 The 2015 is a very important year for BMW, in fact it celebrates the 40 years of the 3 Series. 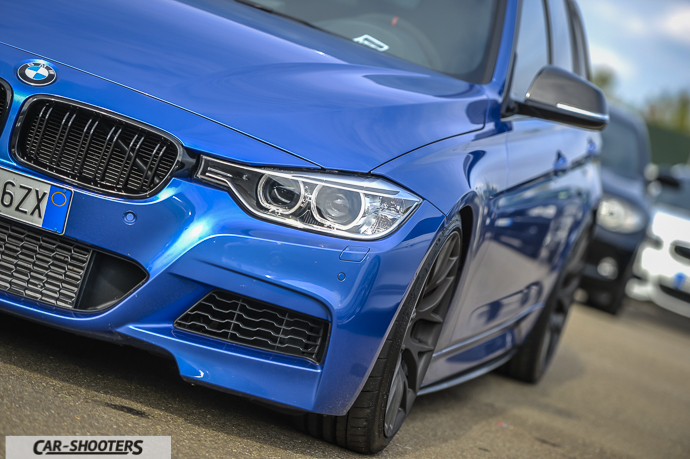 Thanks to its fantastic design has been always at the top for driving pleasure and brilliant performances. 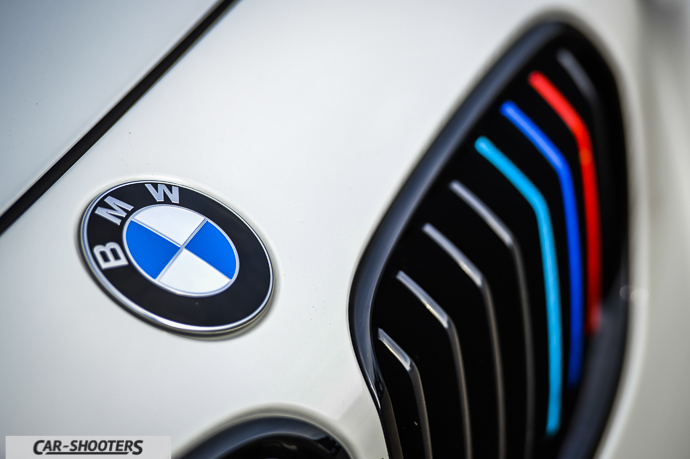 The 3 Series has contributed to the success of the German brand for sure, being the best selling car of BMW alongside the 5 Series. 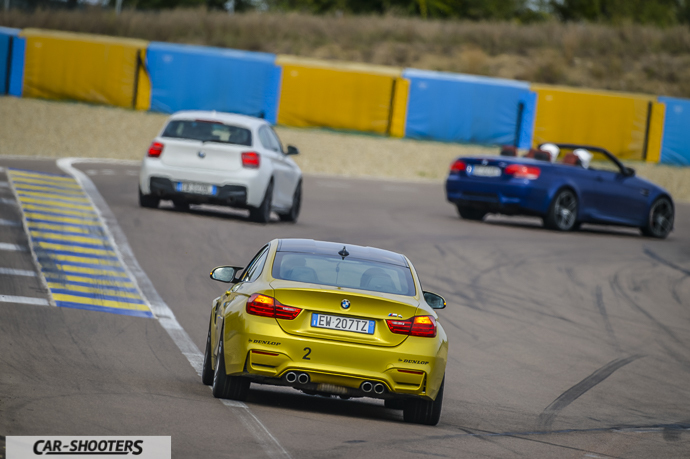 To celebrate this anniversary we decided to select a coupé for each generation. 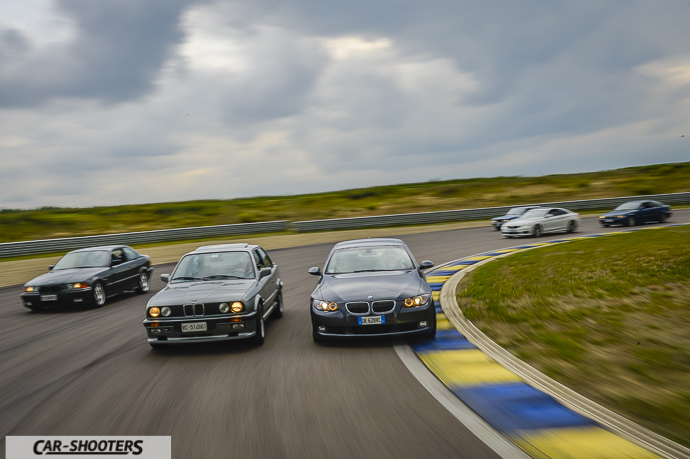 Walking in the paddock we selected the best preserved model from the E21 to the F32. 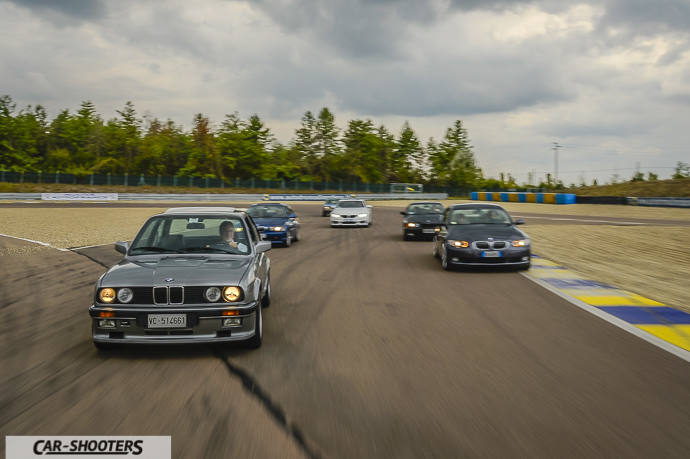 Once called all the six owners of the cars chosen, we took advantage of the track at our disposal for the lunch time and we celebrated the forty years of the 3 Series with some good shots of the six generations. Seeing them, all in a row, while we was shooting some photos was certainly entertaining for the public that watched our little parade. 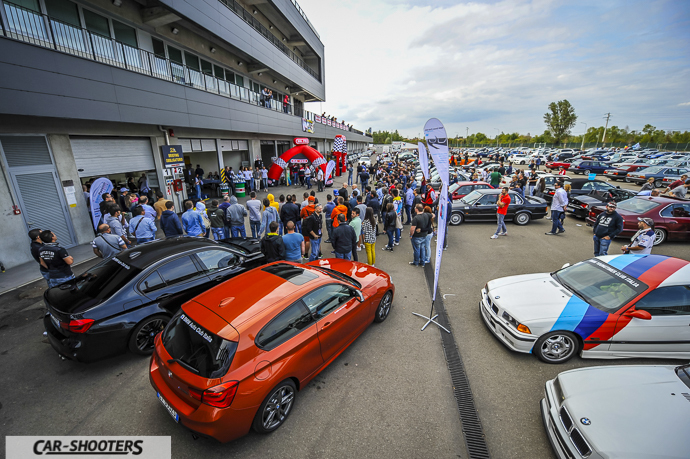 Finished our work we took a little break to look down on to the paddock seeing the beautiful view of the many BMWs of the event. Time to go home has comed and I turned on my 520 for returning back home. 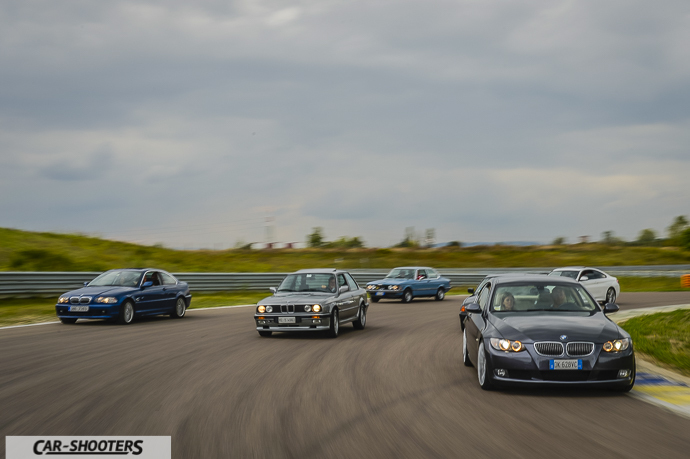 If you are a fan or a BMW owner is definitely an event to not miss!